Please note the times of parties are flexible. If 11:00am - 1:00pm on Saturdays or 13:20pm - 2:30pm on Sunday's doesn't suit please call the centre on 6273 7667 and we will more than happily do our best to accommodate a specific time. Glenorchy Pool parties are so much fun for kids and easy for parents. 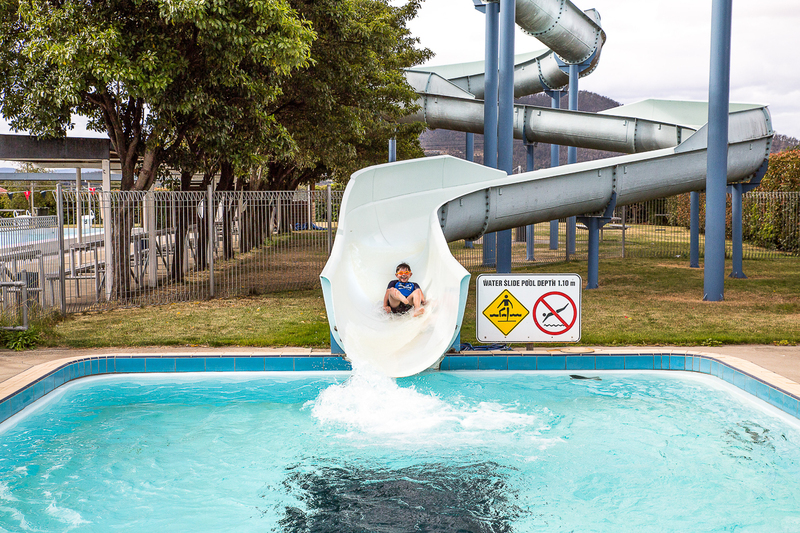 With three heated pools (50m, toddler and giant water twister ), BBQ area, large grassed area and a fully decorated party room for up to 2 hours, pool parties at Glenorchy are a great option for kids over 7 and fun for the whole family! 3 Rides on the giant water slide for each child to use on the day. $150 For 10 children. Additional Children $7.50 per child (max 16 children). 1. Select ‘10’ in the 'Group of 10' drop box below - this meets the minimum booking requirement. 2. Add any additional children in the second drop down box. For booking assistance please call Glenorchy Pool on 03 6273 7667.